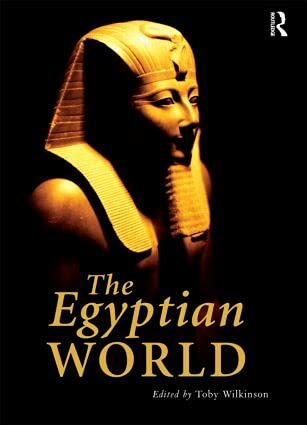 Authoritative and up-to-date, this key single-volume work is a thematic exploration of ancient Egyptian civilization and culture as it was expressed down the centuries. Including topics rarely covered elsewhere as well as new perspectives, this work comprises thirty-two original chapters written by international experts. Each chapter gives an overview of its topic, and also covers the latest research in the area. Chapters are divided thematically into seven sections, to enable a broader understanding of all the complexities of ancient Egyptian society without the constriction of chronological divisions, and illustrated with previously unpublished photographs and drawings. Providing fresh perspectives on this ancient culture, a digest of current research trends in Egyptology as well as a unique examination of the Egyptian world, this fascinating title enables students to gain a clear understanding of ancient Egyptian society. Toby Wilkinson is a Fellow of Clare College, Cambridge, and an Honorary Research Fellow in the Department of Archaeology, University of Durham. His publications include Early Dynastic Egypt, The Thames and Hudson Dictionary of Ancient Egypt, and Lives of the Ancient Egyptians.